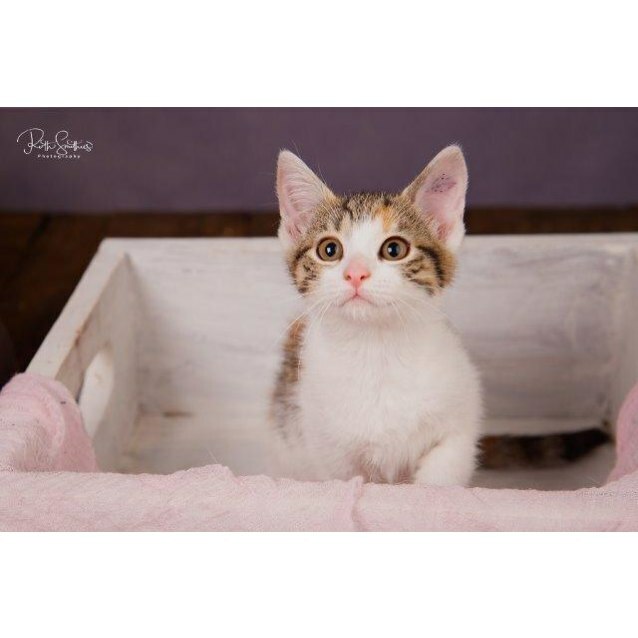 Juliette is such a sweetheart, she is a very delicate and gentle kitten when being handled by people. Even when trying to get your attention at meal time, a gentle pat on the foot and boop with a nose is all you will get from her. Juliette loves a good cuddle and is happy to nap just about anywhere! 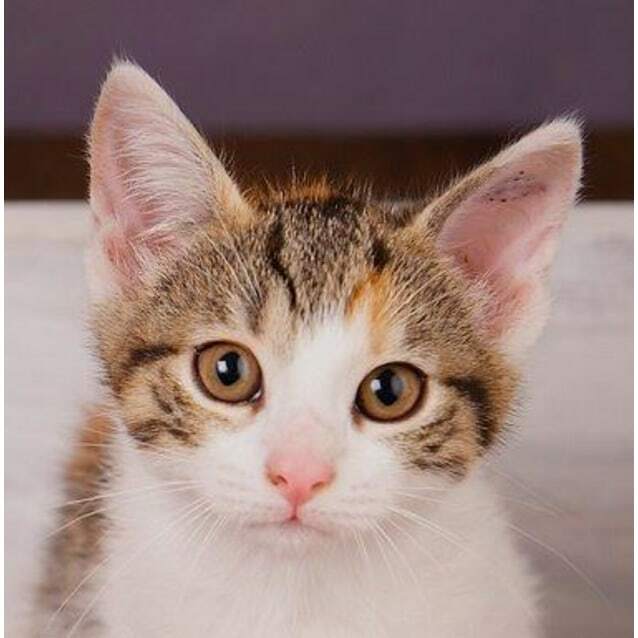 She loves to cuddle up on your lap, by your side or snuggle up close with her sister and resident cats. 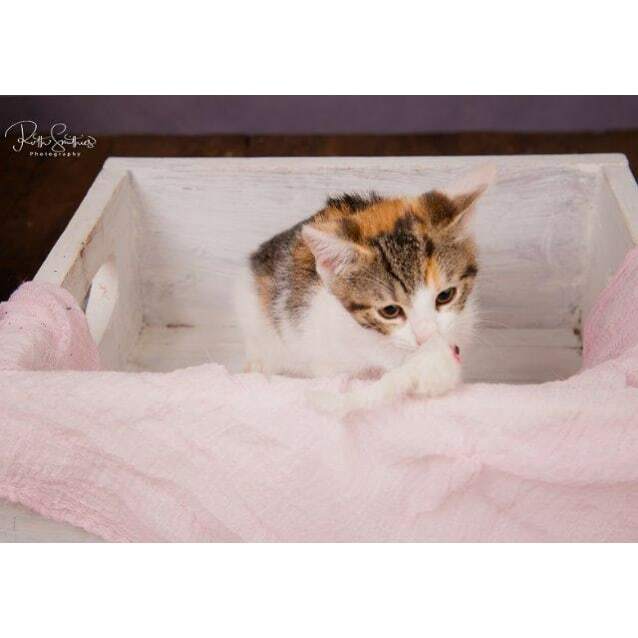 Sweet doesn't mean boring though, Juliette loves to explore and play. She is a very curious kitten and will get up to all sorts of mischief if you let her. She particularly loves chasing her siser up and down the cat tower, climbing to crazy heights and chasing anything that moves! Juliette loves cuddles, playing and food. She would fit in seamlessly to any home and would be fine with both kids and cats and a slow introduction to other pets should work too. Because of her fair colouring, she should be kept inside so she doesn't get burned by the harsh sunlight. 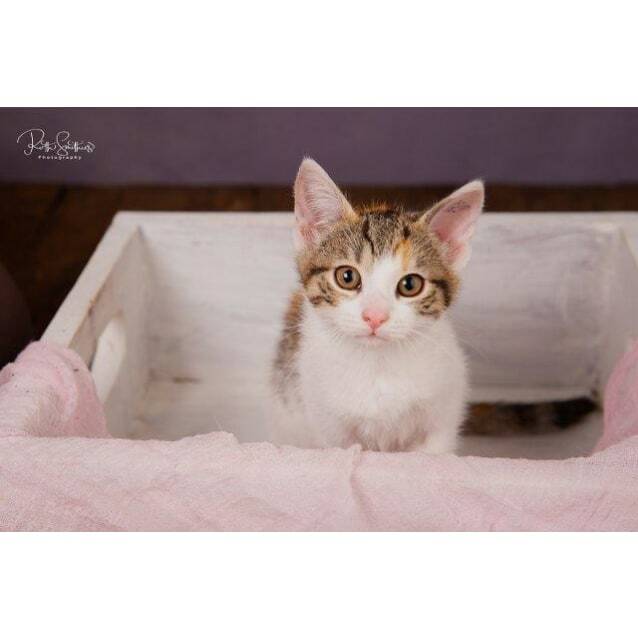 She really is a special little kitten who would be a great addition to any loving home.